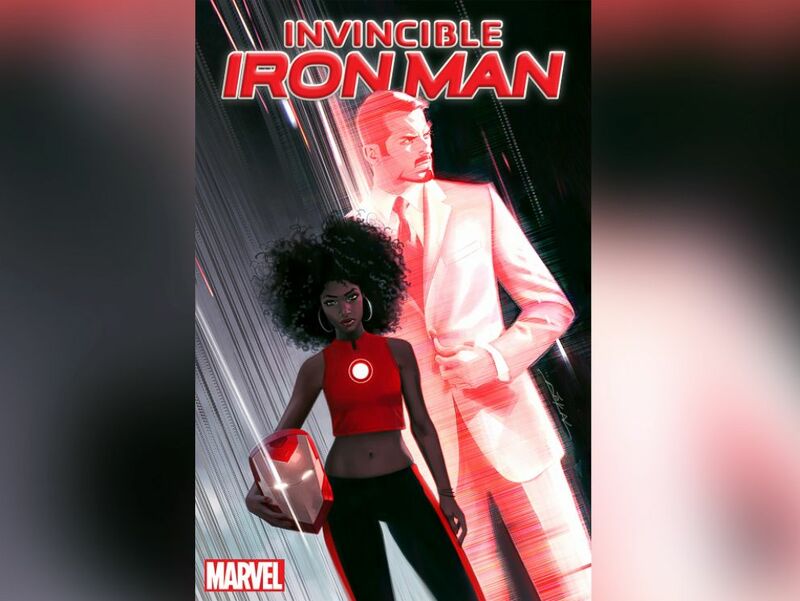 Marvel continues to go all social justice warrior and replace Tony Stark with a black woman, yet she's still called Iron Man instead of "Iron Woman" or something like that. So Marvel again trying to appeal to feminists and minorities by replacing an established character for 60 years with another female minority. When will it end? Doesn't really matter. By the next MCU movie starring Iron Man as a lead character, Stark will most likely be back in the armor. Does this mean Iron Man will finally get that personality he's been missing? Huh, so they're going the Tim Drake route. Still ought to be better than Ghostbusters, I would prefer it if the name stayed as Iron Man. The idea seems alright right now but hopefully nobody ****s it up with various things. I know she's a girl and man is in the title of Iron Man but what if she had a secret identity or something pretending to be a dude? I still think Stark will be in the armor again though. Also, her name is re-re. How ironic that yesterday we were talking about having a black April in TMNT and all of a sudden the very next day Marvel officially announces a black woman Iron Man. No big deal. In the 1980s, a black man replaced Iron Man while Tony Stark worked through his alcoholism. Yeah, but all THAT 15-yo had to do is figure out Bruce Wayne was Batman. And do a lot of athletics. A high-school or college student making a robotic exoskeleton armored suit capable of weaponry, defense, and flight? On her budget? Nah. Having actually lived at MIT for a summer, trust me...if she has the talent, the tools wouldn't be hard to come by. Would that much materiel be available to a student? Enough to actually fab a full Iron Man suit? I guess so. Students pull all sorts of goofy stuff in labs and shops. I guess it's not quite as far-fetched as my original reaction. They are very fond of their Hacks. But that was different. That was Tony's longtime friend. This is just some kid. Why is Marvel replacing all their established heroes with minorities when the characters are now popularized through the movies to casuals? I don't know about this. This iron man woman situation is too much. Comics today are almost all written by fanboys who want to leave their marks in comic history. It used to be the fanboys would make sweeping retcons like changing Power Girl's history or erasing Peter and MJ's marriage, but now they like to make their mark by whoring themselves out to women and minorities. You can almost hear the company and the writer screaming, "Buy my comic! Please!! Look, I included a black character!! That appeals to your sense of 'social justice', right?" This is what POC like to call, pandering, and what SJW's call progress.